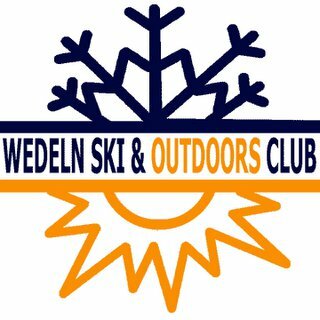 WEDELN SKI & OUTDOORS CLUB, INC. Single (not married) and at least 21 years old and attendance at two big weekends. Completion of an application, approval by the Board and payment of membership dues and agreement to two work weekends will make a new Wedeln. The Wedeln Ski Club is one of the most active in the Mount Washington Valley and its members stay involved year-round; recreational skiing/riding, participation in the Eastern Inter Club Ski League (EICSL), organized winter vacations out west or to Europe, canoeing and hiking in the Valley during the summer. Each year the club sponsors a canoe weekend on the Saco River, golf tournament and a holiday party. The fun-going Wedelns also host some of the most popular "theme" events on the EICSL calendar; Halloween and Hat dance. The Wedeln lodge is located off Hurricane Mountain Road on the North Conway line. The lodge's common area has a fully equipped kitchen (a chef is hired during big weekends), a spacious dining/activity room, cozy living room with fireplace, lounge area, and a great wraparound porch. With 21 dorm style rooms 76 members and guests can easily be accommodated. Wedelns like to ski/ride a lot but not pay a lot and love to meet new people so be a guest for the weekend and check it all out.